One of the best things about the fall and winter season? It’s SWEATER WEATHER! But while they’re cozy, comfy, and versatile, sweaters can also be surprisingly difficult to wear well. 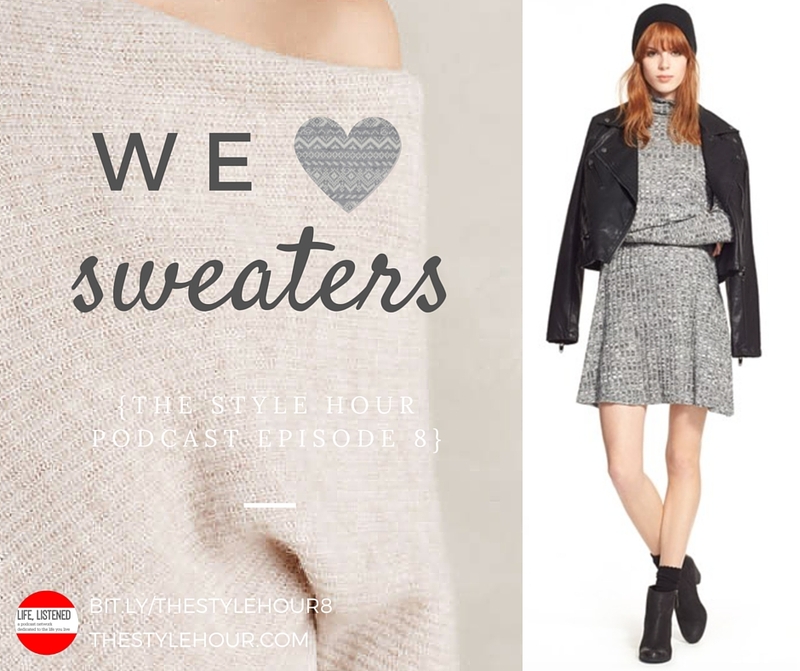 Shana and Meagan discuss lengths and fabrics that flatter, how to pull off the sweater dress look, giving a big bulky sweater extra pizzazz, how to layer for extra warmth without adding too much bulk, how to pull off the half-tuck with a sweater, and that perennial topic – turtlenecks, yay or nay? I was hoping for more pictures and links – this visual girl needs some help with all these sweaters! I’ll check over at The Mom Edit. Can you tell us a little more specifically how you wash your fine knits in the washer?